No it's not Monday. I wanted to get you the supply list so you had the weekend to source the supplies. 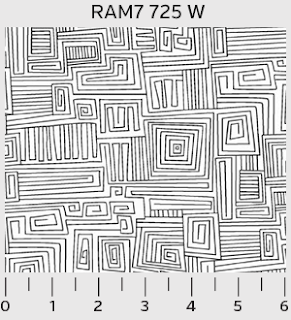 This is going to be our first bed size quilt. That means lots of cutting and lots of sewing. 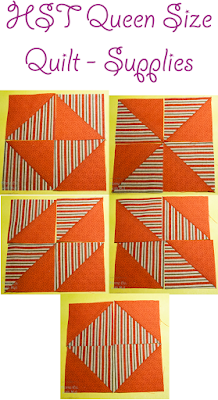 Don't panic of the thought of doing half square triangles, more commonly referred to as HSTs. I've got a great method to do them that is easy. Normally, I don't add a bunch of tools for a project but there are a few that will make this project easier so I'm including them. Let's start with the fabric. I'm using all those shirts that I deboned a while back. I am also using 3 yards of white fabric. The white fabric is from P & B Textiles Ramblings line. It was so hard to get a photo of it. It is a white on white design. When I pulled the bolt my husband couldn't figure out why I was so excited over plain white fabric. Then he saw the design. Love that kind of fabric, it gives the quilt a little something special. 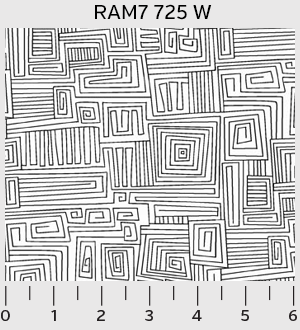 I'm so thankful that P & B Textiles had a line drawing on their website so I can show it off. You notice the yardage measurements below are a little weird, meaning the smaller the cut the more you need. The reason is because we are going to be cutting 7" squares. If you use quarter yard cuts you'll need more because you have two extra inches and we need those inches. When making HSTs there are a few tools that make life easier. You don't HAVE to have them but I do highly recommend them. You can purchase them through my amazon links and that throws a few pennies in my fabric fund. If you do THANK YOU! We are going to be cutting lots of squares. A ruler made for that just makes it so much easier. The first one is the exact ruler that I have. The others are from reputable brands in different price ranges. Remember to buy the best you can afford. 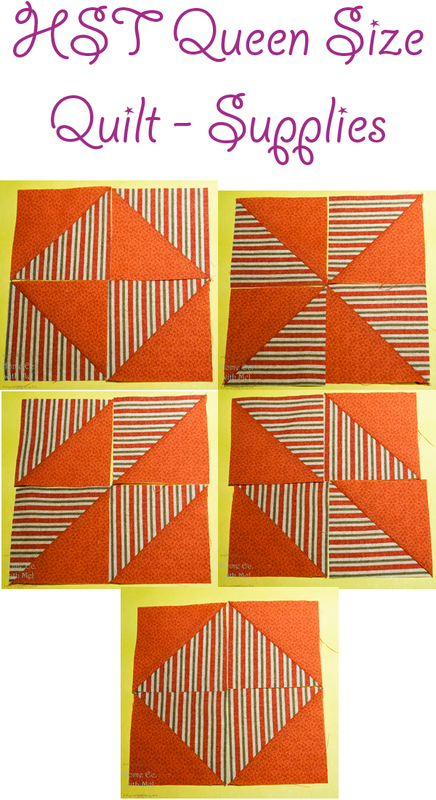 I also have a smaller square that I use to trim my HST blocks. The first and last one above have the diagonal line so if you can handle the big ruler go for it. Otherwise I recommend grabbing one of these small ones. The other thing that I find invaluable is a rotating cutting mat. We have to cut the squares up and being able to turn your mat instead of the fabric keeps things from shifting. I have a Fiskars one. The last thing you need is a fine tip writing utensil. I like a nice sharp wood pencil. Nothing fancy, just a good old No. 2 yellow pencil. That's it! I'll see you guys on Monday for the start of our project. Liked your note on how many mens shirts it takes. My grandmother made many a quilt from grandad's shirts. One day I am determined to snag one of your quilts! I love white on white fabric! I once saw one with sunbonnet sues on it, I wish I could find some of that to buy!